Building an effective HF antenna can be difficult when space is limited. Maybe the full wave delta loop can help? 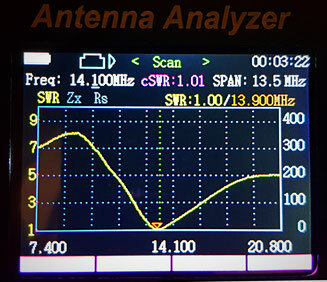 Delta loops are simple to construct and can look less intrusive than other antenna types. All you need are three mounting points, a balun, and some wire. 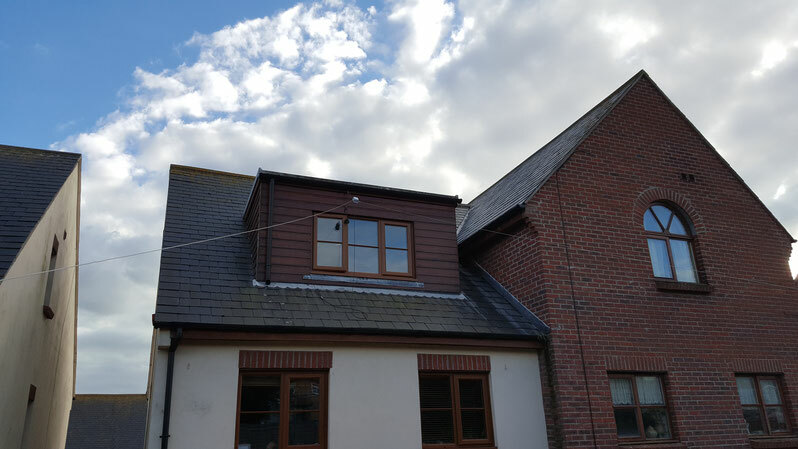 Below is one example of how to mount a 20 metre delta loop on a small suburban house. There are many adjustments and improvements that could be made to the method shown below, but it may be a useful starting point. 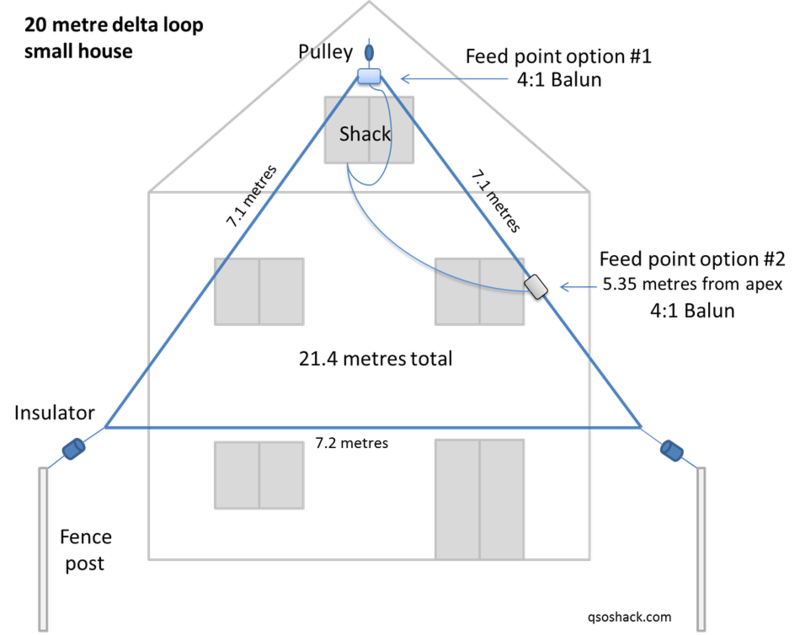 The balun is attached to the top of the house using Para-cord and a pulley, the cord is tied off on a cleat. This allows the antenna to be lowered and adjusted for maintenance and tuning. The feed point (balun) is mounted at the top of the delta in the image above (option #1), the feed point can be positioned on any apex or 1/4 wavelength from the apex as shown in option #2. Below you will see the delta loop attached to garden fence posts, this keeps most of the antenna hidden from neighbors. Mount higher if possible. This is relatively easy and quick to set up. 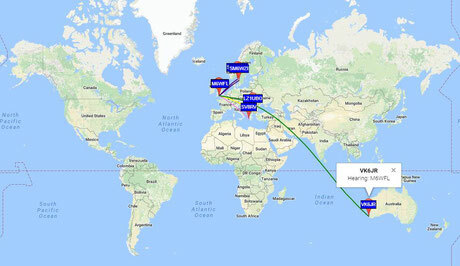 The above design was found to work well on both 20 metres and could be tuned using an antenna matching unit to also presented a low SWR on 40 metres. Minor adjustments to the feed point position and the length helped optimize performance, raising the overall height may further enhance antenna efficiency. 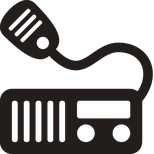 40 metres did require the assistance of an antenna matching unit, but this was not needed on the 20 metre band. There's a lot of information on the internet about delta loop design, many improvement options and configurations are possible. This guide should offer an example of how a delta loop could be set up, I hope this information is useful. The 20 metre delta loop is easy to construct and unobtrusive for neighbors. A good fun project which offered rewarding results. 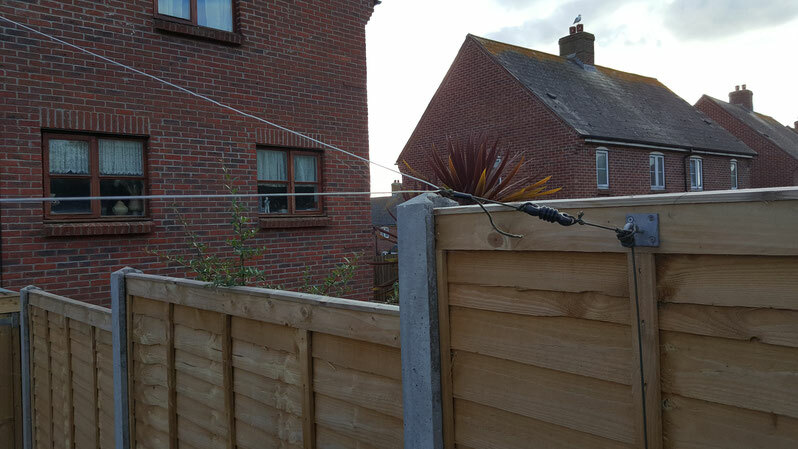 See my trapped dipole page for the best solution for my modest back-garden.